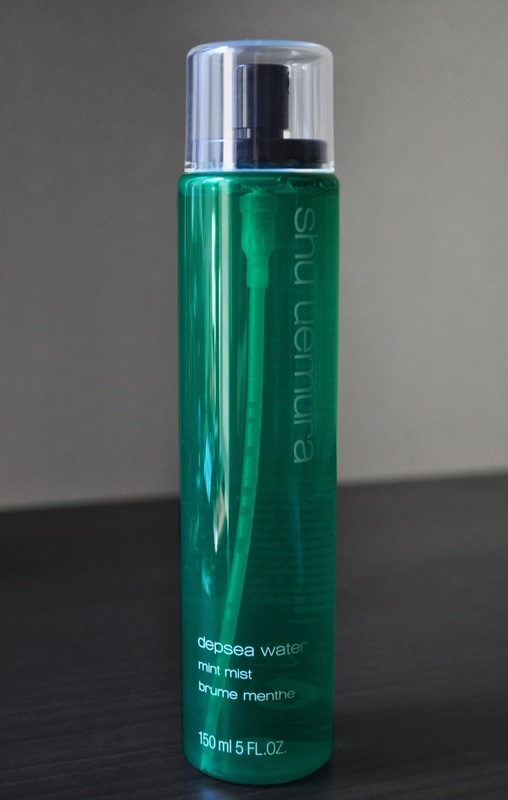 With the humidity levels rising, I need something to help cool me down...enter Shu Uemura's Depsea Water Mist in Mint. When sprayed, Mint has a refreshing, slightly tingly, cooling sensation. For an extra burst of freshness, I like to keep this facial mist in the refrigerator. Oh, a cold mist sounds sooo good! I've never tried facial misters but I think when I'm in cooler weather I'll probably try one out! Thanks for the share. I am gonna try this too- putting mist in the refrigerator !! Speaking of facial mists I'm trying out the Tatcha one right now, and as with everything else, am really liking it. At t he moment it's what's keeping me awake at work. Haha.